Its so wonderful to think that Freedom Petals is still bringing such joy through flowers to our wounded warriors and their families. Mother's Day weekend was a wonderful way to honor our mothers and all the mothers that love, sacrifice and watch over their wounded sons and daughters. Freedom Petals volunteers and partners deserve a round of applause for all the hard work, giving hearts and their time shared on Mother's Day weekend flower event. We supported three events; Aleethia dinner, the Wounded Warrior Cafe Mother's Day Brunch at Walter Reed, and the hospital and Fisher House delivery. Whew! 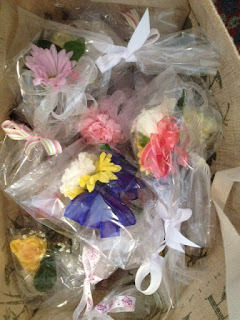 Here are some pictures of the mason jar arrangements for the Aleethia Dinner and a bag of 35 fresh corsages the volunteers made for the dinner and the nurses at the hospital as well. On Saturday we made all the arrangements for the hospital and bud vases for Fisher House. The delivery was on Tuesday this time due to a monetary award Freedom Petals received from the Naval Officer Wives NOSCDC at JBAB *Joint Base Anacostia-Bolling*. Joan and I attended the luncheon of 100 women who awarded $28,000 to non-profit organizations that support the military services in some way. The flowers are created on Saturday and delivered on Tuesday...... it was so important that we have fresh flowers. As you know Mother's Day is one of the big flower florist holidays and FP partner and friend Herndon Florist (Anne Harvey) donated a fresh box of alstromeria for our event. Then on Saturday we receive another call from Anne to see if we needed any more. She is one of our many angels looking out for the success of our cause. Thank you so much! The brunch was so much fun. As everyone knows the Matoon, Illinois flower ladies made 100 silk corsages and mailed them out to us for the Mother's Day Brunch. They were so real looking and brought lots of joy to our wounded warrior families. Andrea my daughter's old roommate came with us to hand out the corsages. 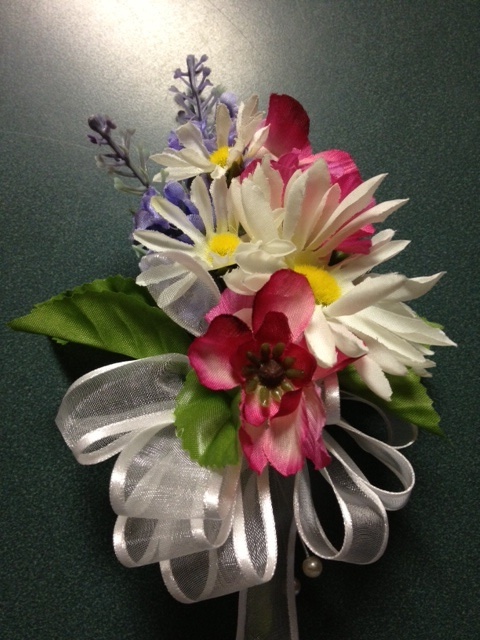 Her mom is the florist that came up with this idea and they loved that they could support our cause from the Midwest. The hospital and Fisher House on Tuesday 14 May was amazing once again. It was Nurse appreciation week, Mothers Day and spouse appreciation month so we hit them all. 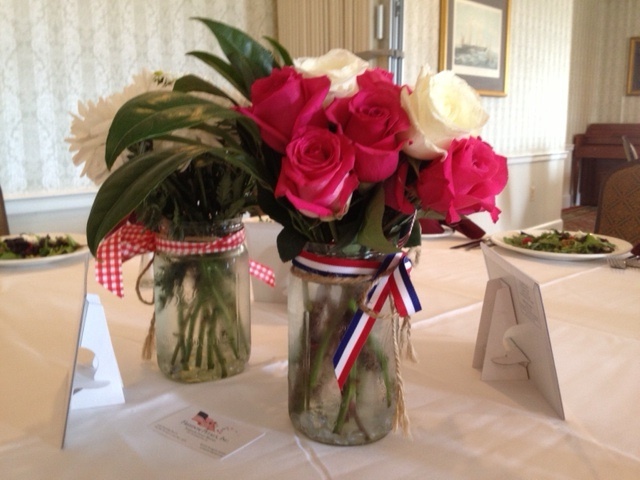 We made special arrangements for the nurses and 45 bud vases for Fisher House. 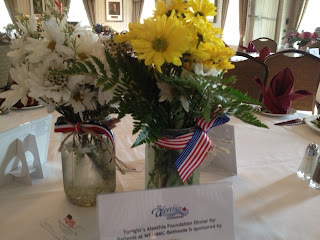 We always enjoy the smiles, hope and healing that our flowers bring the recuperating service members. God blesses our mission and we keep Him in mind always.